Patented Axial PointSource Optics make it easy to enter undilated pupils, offering a 25' field of view, resulting in a view of the fundus that's 5 X greater than you see with a standard ophthalmoscope in an undilated eye. Direct viewing of the fundus through the PanOptic provides better images of the retinal changes caused by hypertension, diabetic retinopathy, glaucoma, and papilledema to enable clinicians to make these diagnoses earlier. 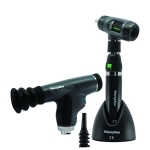 The MacroView otoscope delivers almost twice the field of view at higher magnification compared to standard otoscopes, making it easier to visualise the auditory canal and tympanic membrane. Better visualisation to help enhance learning, decision-making and patient outcomes. 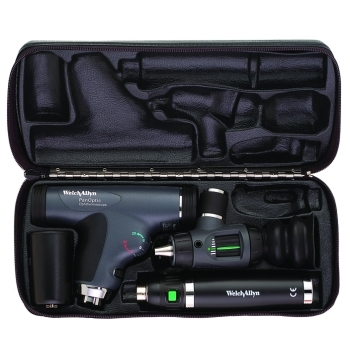 This diagnostic set includes - Convertible Power Handle with C-Cell Battery Converter, MacroView Otoscope/Throat Illuminator with LED Lamp, Otoscope Specula, PanOptic Ophthalmoscope with Patient Eyecup with LED Lamp and a PanOptic Case. 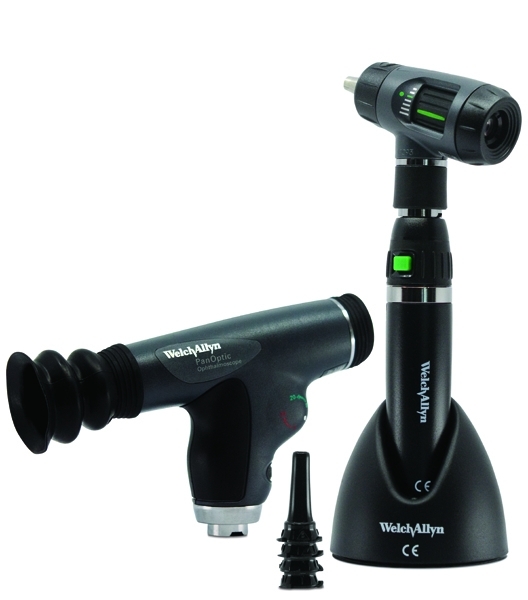 The diagnostic set is powered by LED lighting to capture true tissue colour for better diagnostics. 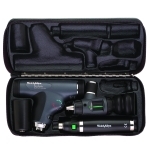 C-Cell battery-powered handle has a smooth, non-abrasive knurled finish that ensures a no-slip grip.